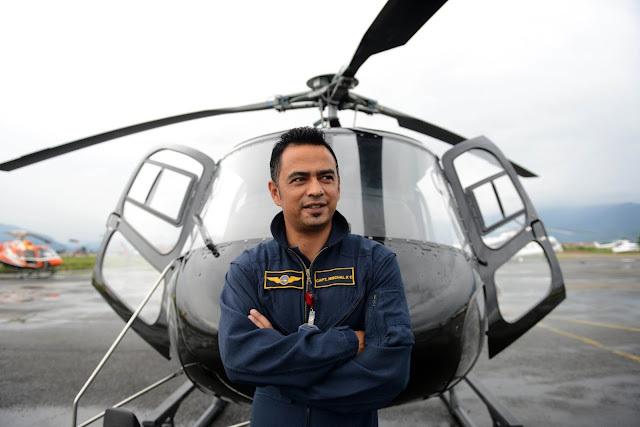 In this photograph taken on July 30, 2015, Nepali helicopter pilot Nischal KC poses beside a helicopter in Kathmandu. LUKLA: Flying into Nepal’s Lukla airport — the gateway to Mount Everest — demands courage and precision, thanks to its tiny, treacherous runway perched on a steep cliff. For half a century, pilots have needed to navigate snow-capped peaks and endure erratic weather to land on a runway just 500 metres long, which has been carved into a mountain ridge and sits by a perilous three-kilometre (two-mile) drop. A litany of deadly crashes, including one in October 2008 which killed all 18 on board except the pilot, has earned Lukla the nickname of the “world’s most dangerous airport”. But when a massive earthquake hit Nepal eight months ago, triggering Everest’s deadliest avalanche and leaving hundreds of climbers and trekkers stranded, the tiny airfield faced its toughest test yet. Helicopter pilot Nischal KC told AFP that even on an average day constant “weather changes and the steep terrain sometimes make landing impossible”. “It’s high-stakes work and there’s very little room for error,” he added. Also known as Tenzing-Hillary Airport after the first men to summit Everest, it has no radar system because of the high cost of installation, forcing officials to rely on an outdated voice communications system to track movements in the air. “The pilots tell us when they are approaching, we give them updates on wind and traffic, then as the aircraft enters Lukla valley, we warn choppers to steer clear for the landing,” said air traffic controller Dinesh Koirala. Things became even tougher in the aftermath of the April 25 earthquake, which killed nearly 8,900 people across the impoverished Himalayan nation. Rescue pilots seeking to reach Everest base camp, where an avalanche set off by the 7.8-magnitude quake killed 18 people, were held back for a day because of hostile weather. When they were finally able to fly, rippling aftershocks brought the threat of further damage. “Aftershocks kept coming that day but I was more stressed out by the weather. I knew that unless it cleared up, we could not send any choppers to rescue people injured by the avalanche,” air traffic controller Koirala told AFP. Pilot KC, who has been flying in the Everest region for 14 years, recalls starting the day with a prayer. “My first priority was to get the injured out of base camp but people higher up the mountain were panicking because of all the aftershocks,” the Manang Air pilot said. He made dozens of trips that day to rescue terrified climbers desperate to get off the mountain, and to base camp to rescue the injured. The frequency of aftershocks and the precarious terrain made landing even more difficult than usual, prompting the pilots to hover overhead and haul climbers up with ropes instead. As rescuers carried dozens of quake victims into Lukla on sleeping bags doubling as stretchers, the tiny airport began to swell with hundreds of tourists haggling with airline officials for a ticket out. Back in the control tower, Koirala and his colleagues embarked on the busiest week of their lives, closely monitoring the movement of planes and helicopters to ensure no accidents occurred mid-air. “The whole week was a blur of flights — the fact that there were so many more aircraft than usual in the air made the job very stressful,” Koirala said. Prior to the airport’s construction in 1964, porters would spend days walking from Kathmandu to Lukla, carrying hundreds of kilos of expedition gear on their backs. Mountaineering legend Edmund Hillary originally planned to build the airfield on flat ground — but local farmers refused to part with their fertile land. Undeterred, he purchased a steep slope for $635 and recruited scores of Sherpa villagers to cut down scrub with knives. The climber then plied villagers with local liquor and asked them to perform a foot-stomping traditional dance to flatten the land. “A very festive mood prevailed and the earth received a most resounding thumping. Two days of this rather reduced the Sherpas’ enthusiasm for the dance but produced a firm and smooth surface for our airfield,” Hillary wrote in his 1998 memoir, “View from the Summit”. As the number of climbers taking on the world’s highest mountain has boomed in recent decades, so traffic at Lukla airport — which can be accessed by helicopter or small aircraft — has increased. Spring and autumn tourist seasons are the busiest, but closures are common since clear skies are essential for safe landing on the abbreviated clifftop runway. Despite the challenges, some say its reputation for danger is undeserved. “It’s unfair to call Lukla the most dangerous airport when there’s not much we can do about the terrain or the weather,” said Koirala. Boeing will roll out the first of its 737 Max jetliners this week with none of the fanfare that accompanied previous launches such as the 787 Dreamliner, even though the company’s success is just as intricately tied to the fortunes of the new plane. The Dreamliner launch in 2007 attracted 15,000 guests, video feeds to 40 countries, a live band and Tom Brokaw as master of ceremonies. The Max will be welcomed by employees and a handful of the customers that have helped it pull almost 3,000 advance orders ahead of its first delivery in 2017. The lack of party atmosphere when the first completed Max is unveiled on Tuesday highlights the need for Boeing to under-promise and over-deliver. Investors remain jittery that its huge backlog of commercial jets relies heavily on airlines in brittle emerging markets, and its most recent airplane programs have been plagued by problems. The all-new 787 was due to fly two months after its glittering rollout but design and production problems saw it arrive three years late and—alongside issues with a revamped version of its 747 jumbo and a military refueling tanker based on the 767 passenger jet— triggered billions of dollars in charges. Boeing and its shareholders can’t afford for the 737 Max to misfire in similar fashion. After dropping plans to build an all-new plane, which now might not arrive until 2020, it opted to revamp for a third time the workhorse of the global airline fleet, adding new fuel-efficient engines and other upgrades to improve fuel efficiency by a claimed 14% over existing jets. “They built some cushion into schedule and have outperformed,” said Howard Rubel, aerospace analyst at Jefferies & Co, who estimates the Max program is still at least three months ahead of schedule. 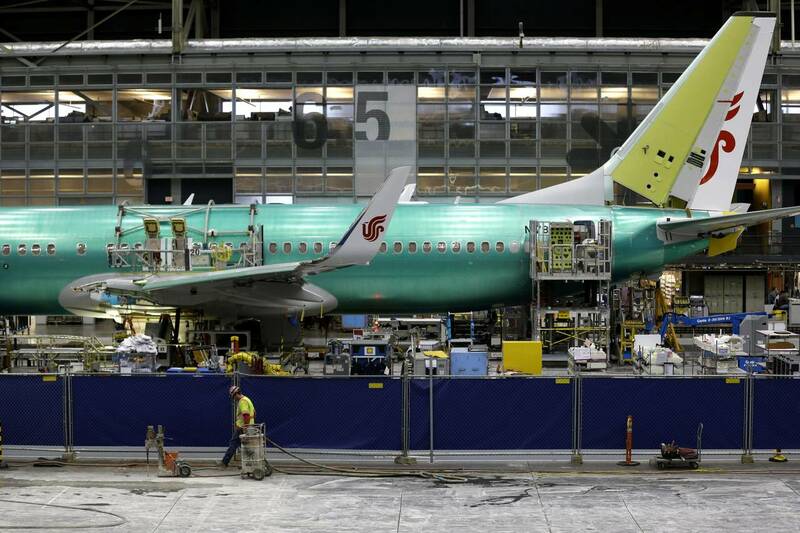 The single-aisle 737 has been in production since 1966 and is the largest contributor to Boeing profits and cash flow, with the company planning to produce more than 700 a year of the new Max by the end of the decade on more automated assembly lines at its Renton plant near Seattle. It also needs to keep the Max on track to avoid falling further behind Airbus Group SE, which launched its rival A320neo plane 18 months earlier, helping it capture 60% of the market over the past two years. The first plane is set to be delivered to its first customer later this month. Boeing said it remains on schedule to fly the 737 Max for the first time early next year and deliver to launch customer Southwest Airlines Co. in the third quarter of 2017. The only snafu so far was when Boeing was forced to drop the supplier for part of the thrust reverser, which slows a jet on landing. Boeing customers said they are satisfied with the progress, after pushing the company when jet fuel prices were nearing $150 a barrel to drop plans for an all-new jet and deliver an improved 737. Mr. Van de Ven will join Boeing employees and Commercial Airplanes unit chief Ray Conner for the rollout and see the plane for the first time with the ultraefficient Leap-1B engines made by the CFM International joint venture between General Electric Co. and France’s Snecma SA. Ryanair Holdings PLC Chief Executive Michael O’Leary said he sees no issues with the airplane coming in on time. Ryanair, Europe’s largest budget airline, is due to receive its first 737 Max at the end of 2018. Mr. O’Leary said Boeing has financially guaranteed an improvement of 16% to 18% in fuel efficiency per passenger over existing aircraft, which also reflects the addition of more seats. The bulk of the improvements come from the new engines, and Mr. Van De Ven said the next milestone on his watch list is the certification of the engines, which will allow Boeing to start flight tests. “We decided to keep the rollout event focused on employees,” said a Boeing spokesman, with a bigger event planned around the first flight. Private planes sit outside Landmark Aviation’s hangar in North Charleston. As passenger demand continues to grow at Charleston International Airport for more commercial flights, private jet service is taking off, too. To meet the need, two firms that serve the private jet market at the airport hope to invest about $11 million in upgrades, including two new hangars. Planes line the tarmac of Atlantic Aviation in North Charleston. 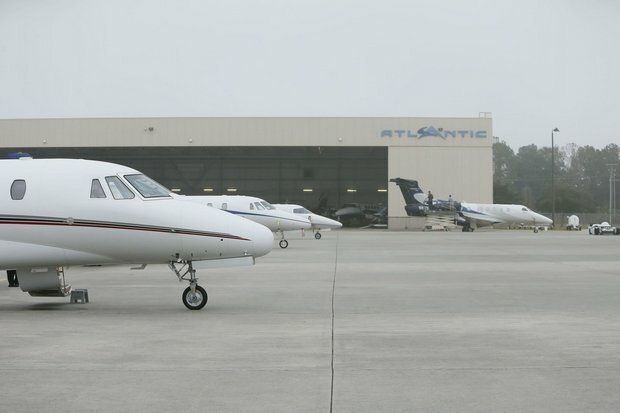 Atlantic Aviation and Landmark Aviation plan to add new hangars for jets near the airport, an indication of growing private jet travel in the Lowcountry. Atlantic Aviation plans to build a 22,000-square-foot structure to house additional aircraft already looking to use the facility. The Plano, Texas-based firm also will upgrade its fuel farm and fixed-based operation. All together, Atlantic will invest about $9 million in new and refurbished facilities. 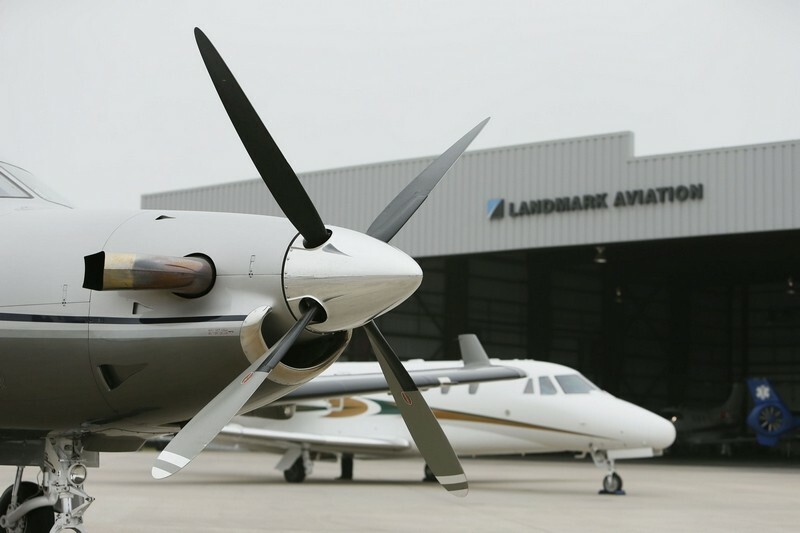 In addition, Houston-based Landmark Aviation, which sits beside Atlantic on South Aviation Avenue, hopes to invest $2 million in a new 25,000-square-foot hangar beside its existing aircraft shed of equal size. It also wants to add ramp space for more aircraft parking. “We are at 125 percent occupancy of our existing hangars,” said Kurt Schmidt, regional manager of operations for Atlantic Aviation. Atlantic currently operates four hangars across the airfield from the main airport terminal, which is undergoing a nearly $200 million renovation and expansion to handle increased commercial flight demand. Upgrades to the Atlantic fixed-based operation will include new flooring, furniture, paint, lighting, signs, seating area and wiring for new technology, Schmidt said. Improvements to the fuel farm will include new pumps, structural repairs and outside lighting. Schmidt hopes work can be completed by the end of 2016. The expansions for both private jet services are necessary to meet growing demand, said Ben Wells, general manager of Landmark Aviation. He also pointed out a statis-tic often trumpeted by the Charleston Metro Chamber of Commerce that 43 people a day are moving to the Lowcountry. Wells called private jet hangars a “hot commodity” in the Charleston area and said if the new one Landmark wants was already built, he’d have no problem lining up jets to park in it. “If we could put 200,000 square feet of hangar space out here, we could fill it,” he said of both Landmark and Atlantic. Landmark’s proposal is still in the planning stages, Wells said. It has not been presented to the Charleston County Aviation Authority, which owns the land. The Aviation Authority recently signed off on the Atlantic Aviation expansion project. Atlantic gained permission from the airport oversight agency to expand its build-out area by about an acre for the new hangar and extend its lease by 25 years. The current lease expires in 2023. Landmark’s lease doesn’t expire for another 15 years, Wells said. Aviation Authority CEO Paul Campbell called Atlantic’s expansion “a great deal” for the agency. “It goes with our whole mission of trying to improve air service,” he said. Agency attorney Arnold Goodstein said he did not foresee any problems with the Federal Aviation Administration approving Atlantic’s lease extension. The FAA, which provides federal funding for the airport, must sign off on all airport operational changes. In Berkeley County, officials there don’t have imminent plans for new hangars, but the airport near Moncks Corner is wrapping up a $4 million, 650- foot extension of the runway to make it just over 5,000 feet long, according to county spokesman Michael Mule. The extension will allow larger corporate jets to take off at the airport, but it can’t be used for landings until electric utility Santee Cooper moves a power line at the end of the runway. Mule said hangars could be added in a long-range plan, but funding has not been lined up. In Dorchester County, a client is considering adding a hangar at the airport near St. George next year, but airport manager Don Hay said it’s just in the talking stages. The airline transport pilot was taking the private-pilot-rated passenger on a local flight in the former foreign-military jet trainer. After the airplane was refueled, the pilot delivered his customary 1-hour safety briefing to the passenger. The pilot subsequently taxied the airplane to the airport run-up area and, after a brief pause, to the runway. As the pilot initiated the takeoff roll, a witness observed dark gray smoke coming from the engine exhaust. When the airplane was about halfway down the runway and about 100 ft above ground level, the engine experienced a total loss of power. The airplane maintained altitude until it reached the end of the runway, at which point it rolled left, descended rapidly, and impacted the ground. A postcrash fire erupted that destroyed the majority of the airplane. Postaccident examination of the airplane revealed no evidence of any preimpact anomalies with the airplane's control system; however, control continuity could not be confirmed due to the extensive thermal damage to the airframe. Postaccident examination of the engine revealed that thermal distress of the 2nd and 3rd stage turbine nozzles and blades led to failure of the 2nd stage turbine blades, which rendered the engine incapable of producing thrust. All the fuel nozzles were below factory allowable limits in terms of flow rate and spray pattern and failed the factory functional test procedure. The asymmetrically deteriorated conditions of the installed fuel nozzle set matched the asymmetrically deteriorated condition of the 2nd stage turbine nozzle. The maximum metered fuel delivery pressure measured on the test bench for the fuel control unit (FCU) was 85 atmospheres (atm). The typical maximum metered fuel delivery pressure for a normally operating engine to produce maximum approved thrust is 48 to 50 atm of pressure with an absolute maximum fuel pressure of 65 atm. The FCU was adjusted back to 50 atm during the test, indicating that there was no internal fault with the FCU but rather it had been purposely adjusted to 85 atm fuel pressure. A search of the maintenance logbooks did not reveal when or where this FCU fuel pressure adjustment occurred. During the inspection and engine performance run-up of the engine performed about 2 weeks before the accident, maintenance personnel should have noticed an overly high fuel pressure, but this did not occur, making it likely that the FCU was adjusted after the inspection. It is possible that whoever made this adjustment did not understand or appreciate the fuel nozzle condition and erroneously tried to increase the fuel pressure to compensate for the low flow rate of the fuel nozzles. The manual adjustment of the FCU to deliver an overly high fuel pressure combined with the deteriorated condition of the fuel nozzles likely led to the heat-deteriorated condition of the 2nd and 3rd stage turbine nozzles and blades within a short period of time. Further, two of the four thermocouples that sense exhaust gas temperature had failed, which increased the likelihood of an incorrect cooler-than-actual temperature indication in the cockpit. As a result, the pilot likely did not observe any indication of engine thermal distress before the power loss. A total loss of engine power on takeoff, which resulted from a sudden over-temperature condition due to an improperly adjusted fuel control unit and the deteriorated condition of the fuel nozzles. 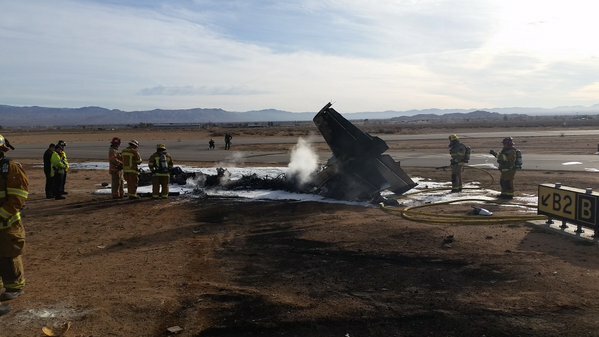 On December 6, 2015, about 1407 Pacific standard time, an Aero Vodochody L-39C, N39AY, was destroyed when it impacted terrain near Apple Valley, California. The airline transport pilot and the pilot-rated passenger were fatally injured. The airplane was registered to and operated by Jettran LLC as a Title 14 Code of Federal Regulations Part 91 personal flight. 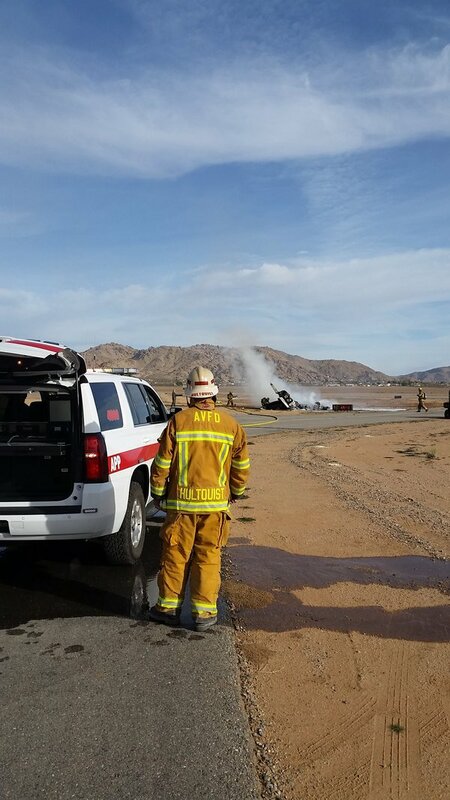 Visual meteorological conditions prevailed, and no flight plan was filed for the local flight, which departed Apple Valley Airport (APV) about 1406. 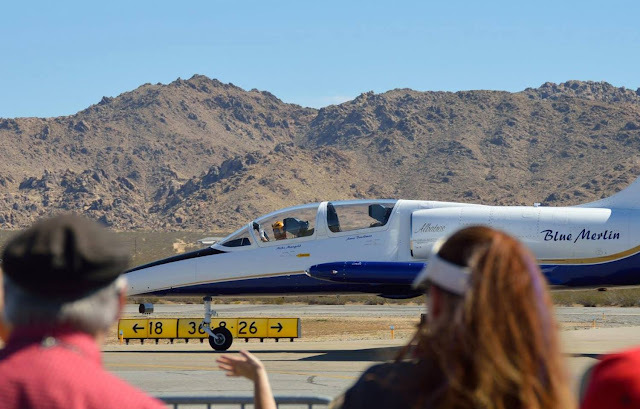 A friend of the pilot-rated passenger reported that the passenger was considering purchasing a partial ownership in another L-39 airplane that was based at his local airport. Additionally, the passenger was a fan of the accident pilot's performances in the Red Bull Air Races. After the friend introduced the passenger to the pilot, they arranged to fly together in the L-39. Witnesses reported that, on the day of the accident, after refueling the airplane, the pilot delivered a 1-hour safety briefing to the passenger inside the airport terminal. Subsequently, they boarded the airplane, and the pilot taxied it to the airport run-up area. After a brief pause, the pilot taxied the airplane to runway 18 and began a ground roll. One witness reported seeing dark grey-colored exhaust coming from the exhaust nozzle as the airplane began its takeoff roll. According to witnesses, when the airplane was about 3,400 ft down the runway (just beyond the halfway point), witnesses heard a "pop, pop, pop" sound, which was immediately followed by intermittent, bright orange flashes coming from the exhaust nozzle. Witnesses reported that the airplane was about 100 ft above ground level; multiple witnesses reported that they had observed the airplane reach an altitude of about 500 ft above ground level by this point during previous takeoffs. A witness reported that while the airplane appeared to have slowed down after the popping sound was heard, it did not appear to lose any altitude. As the airplane reached the departure end of the runway, it rolled into a left-wing-low attitude. Two witnesses reported that the airplane rolled 90° to the left. The airplane then descended rapidly, and the left wing impacted the ground followed by the nose. 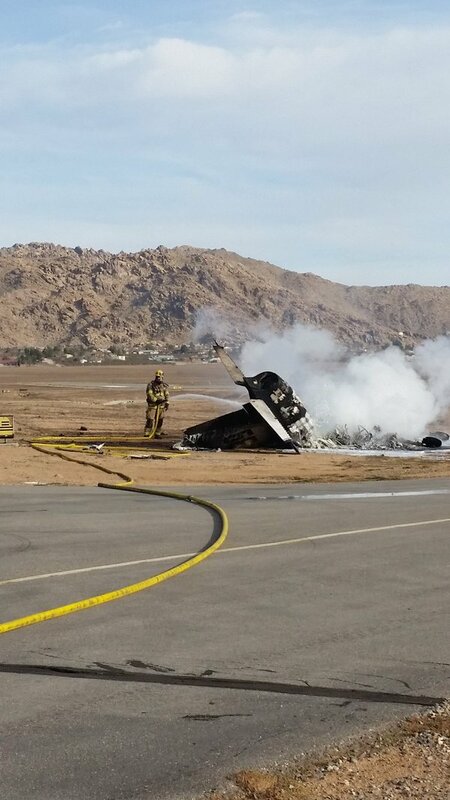 The wreckage slid and came to rest in the dirt between two taxiways, and a fire ensued. A photograph of the airplane's departure captured the airplane about 2,200 ft down the runway and showed the airplane airborne in a slight nose-up attitude with the flaps deployed and the landing gear extended. 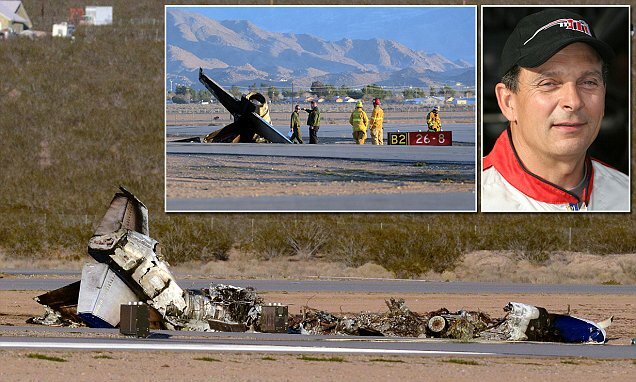 A review of the pilot's logbook revealed that he had accumulated a total of 23,200.3 hours of flight experience of which 170 hours were in the accident airplane make and model. The pilot accumulated a total of 12.2 hours in the accident airplane between August 25, 2015, and November 20, 2015, which was the date of the last recorded logbook entry. The last entry in the logbook was a simulator flight in a Boeing 787 on November 20, 2015, and his last recorded flight in the accident airplane was on October 27, 2015, from APV to Reno Stead Airport (RTS), Reno, Nevada. The pilot had been a competitive air racer since 1990 and was active in the Red Bull Air Races from 2004 to 2009. He won the Red Bull Air Race World Series Championship in 2005 and again in 2007. A friend of the pilot who had known him for about 15 years reported that he worked with the pilot at Racing Jets, Inc. According to this friend, it was not unusual for the accident pilot to take passengers for rides in the L-39. It was customary for the accident pilot to conduct a 1-hour safety briefing with each passenger before departure. During this time, the pilot would address numerous safety items including: canopy operation, parachute deployment, safety belt operation, and the procedures for a manual bailout. The pilot's wife, a professional career pilot and former aerobatic pilot, stated that it was not uncommon for the accident pilot to deliver a 1-hour safety briefing before flying with a new passenger. During a flight with a new passenger, the pilot might let them fly, but he would normally follow them on the controls, and, should an emergency arise, he would immediately resume control of the airplane. The pilot was a first officer for a major airline. According to the pilot's wife, he left their home about 1500 on December 3, 2015, and drove to Los Angeles International Airport (LAX) where he boarded a commercial flight to Sao Paulo, Brazil as the first officer. The return flight arrived at LAX at 0900 on the morning of the accident flight. According to the pilot's fellow crewmembers on the flights to and from Sao Paulo, the crew queried each other to ensure they had received adequate rest. A crewmember recalled that during the return flight to Los Angeles, the pilot had a total of two breaks consistent with the shift schedule. On his first break, he rested in a business class seat; however, the crewmember could not confirm if he slept during that time. During the pilot's second break, a 3-hour time period, he used the airplane's crew bunk. The crewmember surmised that the accident pilot was sleeping during this time as his bunk light was not illuminated. Another crewmember stated that he would have recalled if another crewmember had slept or not. The pilot-rated passenger, age 42, held a private pilot certificate with an airplane single-engine land rating. He was issued a third-class medical certificate on May 20, 2014, at which time he reported a total flight experience of 377 hours and 0 hours in the previous 6 months. A copy of his logbook was furnished by a family member and indicated that he had accumulated a total flight experience of 409 hours. The logbook showed that he had not amassed any time in turbine engine aircraft. According to the passenger's friend, he was a general aviation pilot who flew airplanes equipped with reciprocating engines. The witness was under the impression that his friend was not going to fly the airplane on the day of the accident. According to FAA records, the single-engine, two-seat tandem airplane was manufactured in 1993. According to Aero Vodochody, the airplane was manufactured in 1983. It was issued an FAA experimental special airworthiness certificate in the exhibition category on February 23, 2003, and it was registered to Jettran LLC on December 16, 2014. The airplane was originally used as a military jet trainer, and it was powered by an AI-25 TL engine that was manufactured by Ivchenko (now Motor Sich). According to the manufacturer, the airplane was owned and operated by the Ukrainian military from 1991 to 2002, when it was decommissioned, transported to the United States, and repurposed as a civilian airplane. A logbook entry dated February 20, 2003, indicated that the airframe had accumulated 1,908 total flight hours, and the engine had accumulated 532 total hours. The airplane's records prior to entering service in the United States could not be located. A maintenance entry from February 20, 2003 stated that the ejection seat rocket motors and charges had been removed, and the ejection system was no longer operative. The airplane's most recent condition inspection was completed on November 23, 2015, at which time the airplane had accumulated 2,062 total flight hours. The logbook entry for the condition inspection showed that the right- and left-wing flight controls and the aft flight controls were inspected. Additionally, the elevators, rudder, wing flaps, and ailerons were lubricated. The AI-25TL model engine was designed for use in the L-39 military trainer, and its first flight occurred in 1968. About 2,900 L-39 airplanes were built between 1968 and 1992, and the airplane remains in operational service with several air forces around the world. About 4,000 total AI-25TL engines were built during its production run. The engine was originally intended to have a time between overhaul (TBO) of 750 hours and a life service limit of 8 calendar years. At the time of the accident, the engine had accumulated 686 hours and had been in service about 26 years. Recent service bulletins by the manufacturer have extended the life limit to 15 calendar years; however, the extension applies only to engines that have been operated and maintained in accordance with the manufacturer's approved instructions for continued airworthiness. According to foreign documentation and industry consultants, the engine was installed on the airplane in 1991 as a replacement. When the airplane was imported into the United States in 2003, the engine passed an FAA-approved maintenance inspection. The AI-25TL engine record-keeping requirements do not require recording of cycles since new or cycles since overhaul. According to the logbooks, the engine was never overhauled. 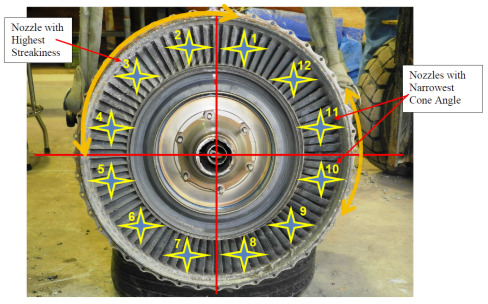 During the most recent engine inspection on November 23, 2015, the 1st and 2nd stage turbine blades and wheel assemblies were inspected by borescope for condition, and no anomalies were observed. According to the maintenance personnel who performed the inspection, he performed a critical tip clearance inspection of the 2nd stage blades. The tip clearance inspection determines if the blades have stretched in operation due to an over-temperature condition. Normally, there is a small clearance between the 2nd stage blade tips and the outer tip shroud. If the blades have stretched, then the tips will contact the shroud and deform, producing a visible "curl" on the concave sides of the tips. According to the maintenance personnel, they did not detect any blade curl during the November 23, 2015, borescope inspection. Further, according to the maintenance personnel, during the November 23, 2015, engine inspection, two engine performance check ground run-ups were accomplished, and the maximum fuel delivery pressure did not exceed the published limit during these run-ups. The maintenance personnel reported that a high fuel pressure would have been visible on the fuel pressure gauge in the cockpit. The high fuel pressure would also have manifested itself as an elevated interstage turbine temperature value during the high-power test. According to the maintenance personnel, neither of these discrepancies were observed. Airport fueling records indicated that the airplane had been serviced with about 131 gallons of JET-A fuel before the accident flight. A fuel sample was taken from the fuel facility, and the fuel was clear and free of contaminants. The owner's maintenance program for the airplane was originally approved by the FAA on July 11, 2002, and the first revision was approved on December 17, 2014. The program listed the engine under the "Life Limited Items" and requires a "Condition Inspection" at 1,500 and 3,000 hours and an engine overhaul at 4,000 hours. The engine "Condition Inspection" consists of the standard factory-prescribed engine run-up performance test and inspection, which, according to the Motor Sich Engine Manual, should occur at 100-hour intervals. The maintenance program also required a borescope inspection through the ignitor holes. No other details were specified, and no engine manual references were made. According to the Motor Sich Engine Manual, a borescope inspection of the hot section, which includes a close examination of the fuel nozzle condition, should be performed at intervals of 100 hours. The 1415 recorded weather observation at Southern California Logistics Airport (VCV), Victorville, California, located about 9.8 nautical miles west of APV, included wind calm, visibility 10 statute miles, scattered clouds at 12,000 ft, temperature 15°C, dew point -10°C, and an altimeter setting of 30.27 inches of mercury. APV was publicly owned and operated by the County of San Bernardino and was not equipped with an operating control tower. Runway 18/36 was 6,498 ft long and 150 ft wide with displaced thresholds at both ends. The airport elevation was about 3,062 ft above mean sea level. The terrain beyond the airport perimeter along the extended centerline of runway 18 was mostly flat desert sparsely covered with brush. The airplane impacted an area of flat terrain between two taxiways about 800 ft beyond the departure end of runway 18, and about 150 ft to the right of the runway centerline. The debris path, which measured 263 ft long by 100 ft wide, was oriented on a 193° magnetic heading. The path was composed of airframe fragments and a black substance that resembled oil residue, which spanned the length of the debris field. The initial impact point (IIP) was identified by a V-shaped ground scar that scraped the northern edge of a taxiway. Red position light fragments (from the left wingtip navigation light) were observed around the left side of the debris path about 20 ft from the IIP, and several small pieces of plexiglass were scattered beyond the position light fragments. 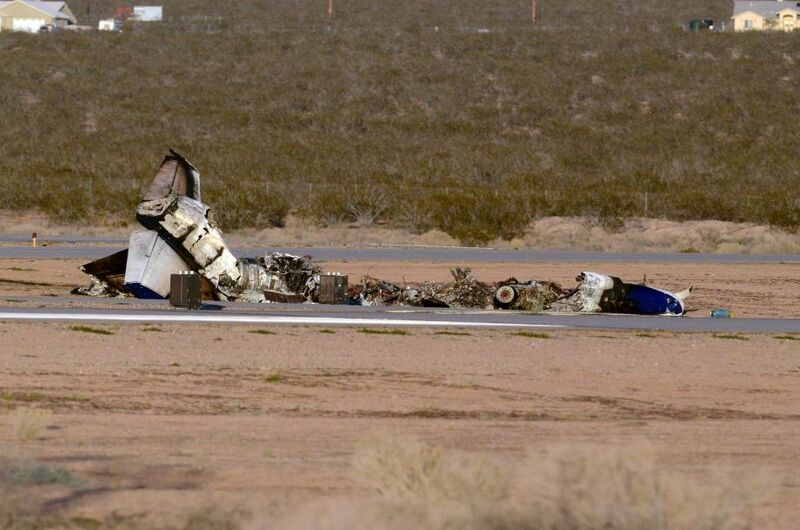 All major structural components of the airframe were accounted for at the accident site. The main wreckage came to rest on a 080° magnetic heading and was comprised of the fuselage, empennage, and portions of both wings. The fuselage and engine compartment were destroyed by fire, but the engine and empennage remained intact. Visual examination of the engine case and exhaust shaft revealed no evidence of a catastrophic engine failure. An inspection of runway 18/36 following the accident revealed no evidence of foreign object debris. The primary flight controls (aileron, elevator, and rudder) were activated by push-pull tubes and levers that were attached to two interconnected control sticks located in the forward and aft cockpits. Only two control tubes from the elevator and rudder assembly were recovered; one of the tubes had separated from the elevator/rudder bell crank and had fractured into 5 pieces that displayed signatures consistent with overload separation. The remaining control tubes were destroyed by the postcrash fire. Most of the wings were destroyed by fire. The left aileron control turnbuckles and main aileron bellcrank were intact but were separated from their respective control tubes, which were destroyed by the postcrash fire. The rudder control system consisted of two pairs of interconnected, adjustable rudder pedals. The front seat occupant's rudder pedal assembly remained intact and had been adjusted to the forward position. Both control tubes, which had separated from the pedals and bellcrank mounts, were destroyed by the postcrash fire. The rear seat occupant's rudder assembly was also intact; the control tubes remained attached; and the rudder pedal mounting tubes were straight. The airplane was equipped with two slotted fowler flaps interconnected by a single actuating cylinder and synchronized mechanically. One of three flap settings was achieved by depressing the appropriate control button on the left side control console. The inboard and outboard right-wing flap tracks had separated from the wing, but portions of the flaps remained attached to their respective tracks, which indicated a 25° deployed (takeoff) position. The nose landing gear was in the extended position and the nose landing gear door was closed. Both main landing gear were collocated with the main fuselage, but their positions could not be determined due to postcrash fire. The airplane was equipped with trim tabs for both the longitudinal and lateral axes. Longitudinal trim was provided by trim tabs that were fitted to the left and right elevators. The left trim tab was designed to deflect automatically when the flaps were deployed to the landing position to compensate for aerodynamic ballooning during landing. The right trim tab was controlled by the trim switch in either cockpit. Continuity of the elevator and flap trim linkages were confirmed from their respective tail section control tubes to both trim tabs. Both the elevator and flap trim were in their neutral positions; the manufacturer indicated that a takeoff can be accomplished with the elevator trim in either the neutral or takeoff positions. The elevator bearings appeared to be lubricated, and the hinges did not display any signs of deformation. The airplane was equipped with five interconnected fuselage fuel tanks, two tip fuel tanks, and one inverted-flight fuel reservoir. A fuel shutoff valve, a low-pressure fuel pump, fuel filter, and a fuel indicator completed the system. All of the airplane's fuel tanks were destroyed by fire, with the exception of the left-wing tip tank, which exhibited significant vertical crush damage as indicated by its accordion-like appearance. The front seat passenger fuel cutoff remained attached to the left side cockpit fuselage. The fuel lever was in the full aft position (closed), and the protective gate that prevented inadvertent manipulation of the fuel cutoff remained attached to the fuel lever assembly. Both the lever and the gate were bent to the side about 10° by impact forces. The low-pressure fuel boost pump, was thermally damaged, and the screen was partially separated but did not contain any debris. The engine displayed no evidence of an un-containment, such as case breaches or failed flanges. The compressor section of the engine was intact and generally undamaged. The combustor housing, turbine housing, and the exhaust pipe were externally intact. The four exhaust gas thermocouples were present, and three of the thermocouples were deformed. The engine was torn down, and the fuel nozzle manifold was found intact as were the 12 individual fuel nozzle assemblies. The combustor was intact but displayed carbon deposits within the fuel nozzle head assembly cooling and anti-carbon build-up holes. All the fuel nozzles were removed from their combustor locating ferrules with ease and were found to be intact; however, most were coated with black carbon or coke deposits. Examination of the turbine or "hot" section of the engine revealed evidence of thermal distress. The lst stage turbine hub was intact, and all blades were present. A rippling of the parent material near the outer span at the trailing edges of the blades was observed on many blades, consistent with blade material becoming plastic during operation at elevated temperatures. The 2nd stage turbine hub was intact, and all blades were present. About half of the blades were fractured in a sequential fashion near the tip shroud blend radius, and those with their tip shrouds still intact had fractures near the trailing edges with fingernail-sized particles missing. A visual examination of all the fractures revealed only overload type failure. No evidence of fatigue was observed. All the blades exhibited a rippled pattern on the mid-span, consistent with a melted plastic flow. Most of the vanes of the 2nd stage turbine nozzle exhibited a rippling pattern on the vane airfoil surfaces along the inner half of the vane span, consistent with a melted plastic flow. The 3rd stage turbine hub was intact, and all blades were present. Two non-consecutive blades were bent. Blade tip shrouds from the 2nd stage turbine and other metal debris were found between the blades and at the bottom of the housing. The 3rd stage turbine nozzle vanes displayed a circumferentially-varying heat distress pattern with the distress most prominent between the 9:00 and 12:30 o'clock positions and the 2:00 and 4:00 o'clock positions. After the examination of the engine, the FCU, the fuel nozzles, and the thermocouples were sent to a maintenance and overhaul facility in Prague, Czech Republic, for testing and disassembly of the components. The Ivchenko AI-25TL engine measures the metered fuel pressure between the FCU and the fuel nozzles. The typical maximum metered fuel delivery pressure for a normally-operating engine to produce maximum approved thrust is 48 to 50 atmospheres (atm) of pressure. A review of the aircraft manual engine field adjustment worksheet values revealed that the absolute maximum fuel pressure for takeoff conditions is 65 atm. According to the consulted L39 specialists, any fuel pressure over 55 atm for the engine to produce approved thrust is cause for further maintenance investigation. A gauge on the pilot's instrument panel displays the engine metered fuel delivery pressure and has a redline at 65 atm. The maximum metered fuel delivery pressure measured for the accident FCU was 85 atm. Screw number 28 had to be adjusted by several turns in the counterclockwise direction to bring the fuel delivery pressure back to 50 atm, indicating that there was no internal fault with the FCU but rather it had been intentionally adjusted above the unit's maximum allowable fuel pressure. The Ivchenko AI-25TL turbofan engine, features an axially-oriented single-annulus type combustor into which the fuel is fed by 12 fuel nozzles, all supplied by a single manifold. The condition of the fuel nozzles significantly affects all the components in the downstream gas path, such as the combustor and the turbine section. A streaky nozzle with an uneven spray pattern will distribute a sharp streak of fuel into the combustion chamber, rather than a fine mist, and will delay the complete combustion of the fuel, causing the heat profile of the flame to migrate aft in the flowpath, increasing the heat to the 2nd and 3rd stage turbines. Temperature unevenness around the circumference of a turbine nozzle causes the turbine blades to encounter highly variable conditions as they rotate through the disturbed airflow, causing fore and aft load variations on individual blades, leading to one-per-revolution vibrations, which is detrimental to the fatigue life of the blades. Hot streaks also thermally shock the blades and lead to blade over-temperature. Inspection of the accident fuel nozzles assemblies revealed black, sooty deposits on the nozzle tips and shrouds. Before testing, the fuel nozzles were cleaned in a solvent bath overnight to remove the soot. They were then tested in a factory-specialized apparatus. All of the fuel nozzles failed the factory functional test procedure and would have required overhaul in order to be returned to service. The fuel nozzles were all below allowable factory limits for flow rate and spray pattern. It was noted that fuel nozzle No. 3 had the highest spray pattern variance or streakiness (97%), which matched the location of the thermal distress between 9:00 and 12:30 o'clock on the 3rd stage turbine nozzle vanes. Additionally, fuel nozzles Nos. 10 and 11 had the narrowest spray cone angles (70° and 73°, respectively), which matched the location of the thermal distress between 2:00 and 4:00 o'clock on the 3rd stage turbine nozzle vanes. Figure 1 shows the fuel nozzle locations overlaid on the damaged 3rd stage turbine nozzle vanes. The two orange arcs in the figure highlight the areas of greatest thermal distress on the 3rd state nozzle vanes. The damage noted on the 2nd and 3rd stage nozzles and turbines was consistent with an over-temperature condition caused by a disturbed combustion process in the combustor due to poor fuel atomization by the fuel nozzles. The AI-25TL engine has four thermocouples in the exhaust that measure the exhaust gas temperature. Each thermocouple unit contains two separate and independent sensors. All four accident thermocouples were tested in a factory test apparatus, and the results indicated that only two of the thermocouples had one acceptable sensor. Because the thermocouple electrical system measures the average temperature of all thermocouples, if a thermocouple in the hot zone fails, then the temperature indicated to the pilot will go down, giving the pilot the false indication that the engine is performing cooler than it really is. For further information about the engine and engine component examinations, refer to the Powerplant Group Chairman's Factual Report available in the public docket for this investigation. The San Bernardino County Sheriff's Department Coroner Division, San Bernardino, California, conducted autopsies on the pilot and the passenger. The cause of death determined for each was multiple blunt force injuries. The San Bernardino County Sheriff's Department Coroner Division and the FAA's Bioaeronautical Sciences Research Laboratory, Oklahoma City, Oklahoma, performed toxicological tests on specimens recovered from the pilot. A carboxyhemoglobin saturation test performed by the Sheriff's Department revealed no evidence of carbon monoxide in the pilot's cavity blood. Tests performed by both agencies were negative for ethanol and tested-for drugs. The takeoff, emergency, and aborted takeoff procedure excerpts below were found in the airplane's flight manual. Before starting the takeoff roll, mentally go through the "Abort" procedure and relevant takeoff data. Maintain directional control initially by differential braking and then by rudder. The rudder becomes effective at approximately 60 km/h. At 150 km/h [81 knots] IAS, smoothly raise the nose wheel. An aircraft in clean configuration will become airborne at approximately 180 to 190 km/h [97 to 103 knots] IAS. FAA Advisory Circular (AC) 43-209A – Recommended Inspection Procedures for Military Aircraft was published in 2013 and superseded AC 43-209, which was released in 2003 and provided a recommended inspection program specifically for owners of the L-39 airplane. AC 43-209A provides broad guidelines for the inspection, storage, and certification of all ex-military aircraft and is not specific to the L39 airplane. This AC requires the owner/operator to submit a written inspection program to the FAA based on manufacturer or military service maintenance requirements of their aircraft. Recommended Inspection Procedures for Military Aircraft was published in 2013 and superseded AC 43-209, which was released in 2003 and provided a recommended inspection program specifically for owners of the L-39 airplane. AC 43-209A provides broad guidelines for the inspection, storage, and certification of all ex-military aircraft and is not specific to the L39 airplane. This AC requires the owner/operator to submit a written inspection program to the FAA based on manufacturer or military service maintenance requirements of their aircraft. 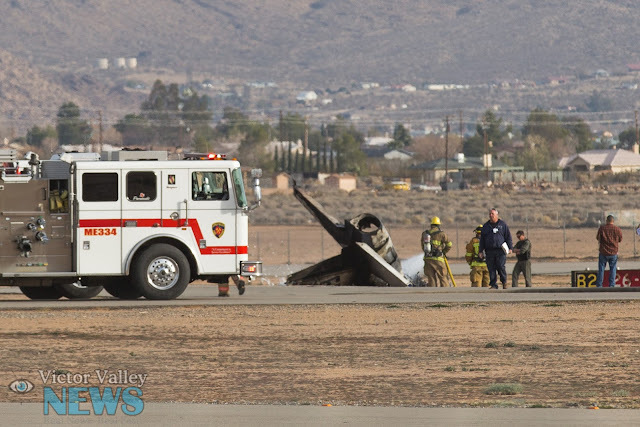 On December 6, 2015, about 1407 Pacific standard time, an Aero Vodochody L-39C, N39AY, was destroyed when it impacted terrain during takeoff from Apple Valley Airport (APV), Apple Valley, California. The airline transport pilot and pilot-rated passenger were fatally injured. Visual meteorological conditions prevailed and no flight plan was filed for the local flight. The airplane was registered to and operated by Jettran LLC as a Title 14 Code of Federal Regulations Part 91 personal flight. According to a friend of the passenger, the pilot had planned to take the passenger on a familiarization flight, as the passenger was interested in purchasing a similar airplane. Several witnesses reported that the pilot briefed his passenger for 45 minutes before taxiing the airplane to runway 18 for departure. One witness observed a "dark blackish/grey colored exhaust" coming from the exhaust nozzle prior to takeoff. When the airplane was approximately halfway down the runway and about 125 feet above ground level, witnesses heard a "pop, pop, pop", which was immediately followed by bright orange flashes from the exhaust nozzle. Witnesses reported that the airplane maintained its altitude and an approximate 20-degree nose-up attitude until it reached the end of the runway, where it rolled left and impacted the ground. The airplane impacted an area of flat terrain between two taxiways about 800 feet from the departure end of runway 18. The debris path, which measured 263 feet long by 100 feet wide, was oriented on a 193-degree magnetic heading. The path was composed of airframe fragments and a black substance that resembled oil residue, which spanned the length of the debris field. The initial impact point (IIP) was identified by a v-shaped ground scar near the northern edge of a taxiway. Red position light fragments were observed around the left side of the debris path about 20 feet from the IIP, and several small pieces of plexiglass were scattered beyond the position light. 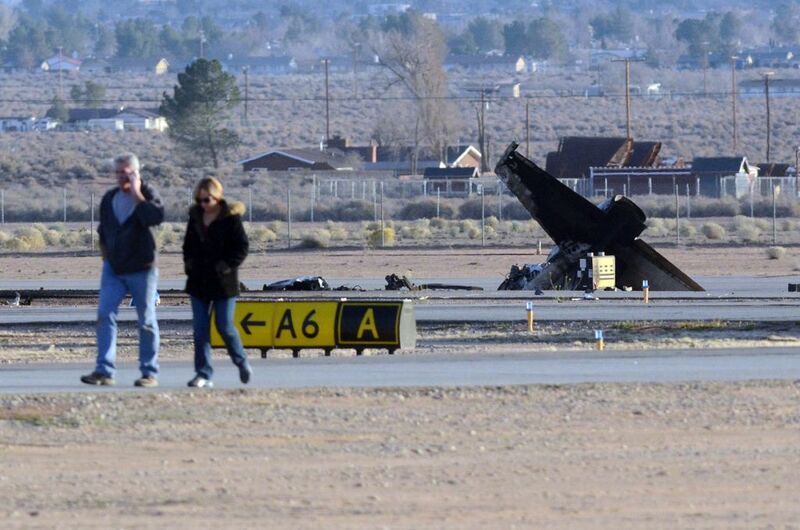 All major structural components of the airframe were accounted for at the accident site. The main wreckage came to rest on a 080-degree magnetic heading, and was comprised of the fuselage, empennage, and portions of both wings. The fuselage and engine compartment were destroyed by fire, but the engine and empennage remained intact. Visual examination of the engine case and exhaust shaft revealed no evidence of an internal catastrophic engine failure. An inspection of runway 18/36 following the accident revealed no evidence of foreign object debris. The pilot reported 23,000 total hours of flight experience on his most recent application for an FAA first-class medical certificate, which was issued on September 22, 2015. The single engine, two seat, high performance airplane was manufactured in 1993 as a military jet trainer. The airplane was equipped with an Ivchenko AI-25TL turbofan engine. A review of the airplane's maintenance records revealed that its most recent condition inspection was completed on November 23, 2015. Airport fueling records indicated that the airplane had been serviced with about 131 gallons of JET-A fuel prior to the accident flight. A fuel sample was taken from the fuel facility, and the fuel was clear and free of contaminants. The wreckage was recovered to a secure facility for further examination at a later date. On behalf of Jessica and the Decsy family, thank you for the tremendous outpouring of love and support at this painful time. The overwhelming response is a powerful testament to the wonderful way in which Geza touched all of our lives. Details are still to be determined, but we wanted to establish this page as a place to check for information, and it will be updated as more is known. At this time, the intention is to hold a Memorial Service for Geza in Los Angeles during the daytime on Saturday, December 19th. Additionally, we will have a donation link for those who would like to help cover expenses, and support Geza's fiancée, Jess, in her time of need. Thank you for your thoughts and support, it's heartening to share our feelings with so many. 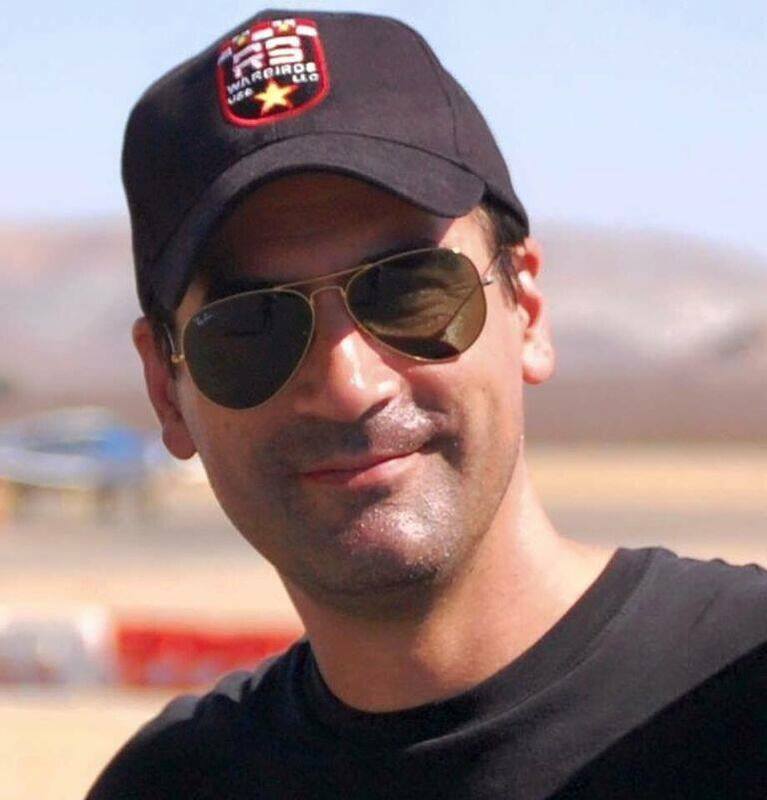 Mangold, Michael Eugene, RedBull Champion Race Pilot, Skydiver and Airline Captain perished when his L-39 jet crashed at Apple Valley airport on December 6, 2015. Mike graduated from the Air Force Academy in 1978, and was the outstanding graduate of the Air Force's "Top Gun" fighter weapons school in 1983. He left active military duty in 1989 and began his airline career, first with US Air and then American Airlines in 1991. Mike was the RedBull Air Race world champion in 2004, 2005, and 2007. He has won Gold, Silver and Bronze at the US National Aerobatic Championships, was a member of the US Unlimited Aerobatic team, a five-time California Unlimited Aerobatic Champion and had over 5,000 skydives. He is survived by his beloved wife Julie and loving children Nicholas and Melissa, his mother Luana and his brothers Robert and Frank. A memorial service for Family and Friends will be held Saturday, December 12, 2015, at two o'clock in the afternoon at Congregation Bamidbar shel Ma'aleh, 15347 Sixth Street, Victorville. APPLE VALLEY — Rob Harrison’s voice cracked before he quietly broke down. A local aerobat who goes by “The Tumbling Bear” while performing stunts at air shows in his 1996 Zlin 50LX airplane, Harrison was describing his friend, Mike Mangold, who — along with one other person — died Sunday afternoon after the L-39 plane he was piloting crashed shortly after takeoff from the Apple Valley Airport. San Bernardino County sheriff's Deputy Adam Cervantes told the Daily Press on Monday he had not received any information from investigators regarding the identification of those on board the plane; however, numerous news outlets have reported that Mangold was piloting the L-39 on Sunday at the time of the crash. Harrison, 74, and his wife Susan, who is the Apple Valley Airshow Marketing Coordinator, had just landed her airplane in Paso Robles when they heard the news of the crash and Mangold’s passing. First flown in 1968, the Aero L-39 Albatros is an advanced trainer aircraft developed by the Czech Republic-based company Aero Vodochody, according to Rob Harrison. The L-39 is used for training tactical pilots. The L-39's first military role was with the Czech Republic's air force in 1972 and there are approximately 2,800 still in use, according to Harrison. California State Assemblyman Jay Obernolte — who also knew the decorated pilot — told the Daily Press he has flown Mangold’s L-39 airplane. 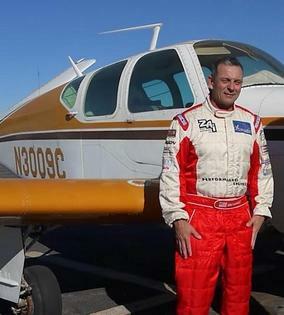 Obernolte said he has been flying for 25 years and first met Mangold four years ago when Obernolte was training to fly the pace plane at the Reno Air Racing Association’s National Championship Air Races. 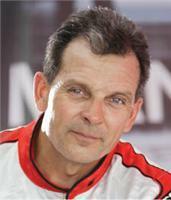 Mangold was a frequent competitor in the Reno Air Races and was the Red Bull Air Racing world champion in 2005 and 2007. 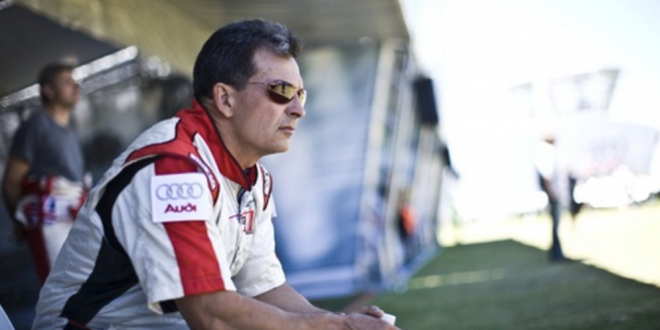 “He really had risen to the pinnacle of a flying career,” Obernolte said. “He was the top graduate of the Top Gun fighter school. He flew F-4 Phantoms in the Air Force. Mike was a very close friend of mine, an outstanding pilot and (his death is a) great loss for the entire aviation community." Red Bull Air Race officials said they were deeply saddened by Mangold’s death in a statement on the Red Bull Air Race website. Despite all his accomplishments, Obernolte said Mangold was "the most humble and self-effacing" person he had ever met. Daily Press Information Systems Administrator Antonio Puccio — who trained with Mangold in 2014 at the Mateo Academy of Self Defense in Victorville — reiterated Obernolte's sentiments. "You would never know he was a world champion," Puccio said. "He was very humble and just talked about normal things. When I talked to him about his championships it was nothing to him. He was just comfortable." Rob Harrison described Mangold as a consummate gentleman and all-around athlete who was broadly certified in many areas, including sky diving, water skiing and body building. Harrison remembered Mangold as a man anyone should admire. Mike Mangold was 60 years old. Mangold began his aviation career in the U.S. Air Force in 1978, where he flew F-4 Phantoms. He was a graduate of the Air Force Academy and Air Force’s “Top Gun” Fighter Weapons School, according to RacingJets.com. 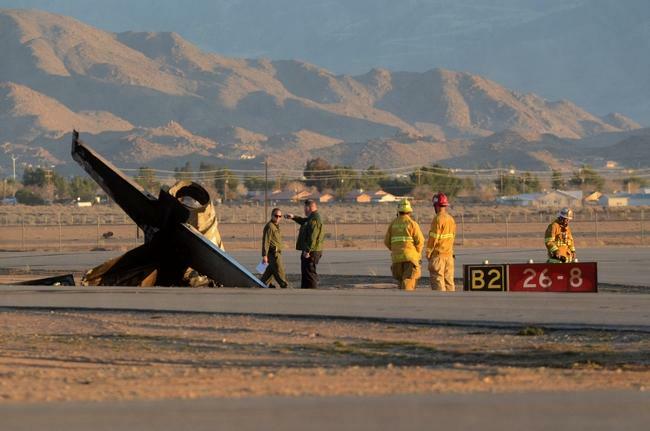 APPLE VALLEY:(VVNG.com)- The pilot killed in the Apple Valley plane crash has been identified as 60-year-old Mike Mangold, a world-famous aerobatics champion for Red Bull who was a resident of Victorville. 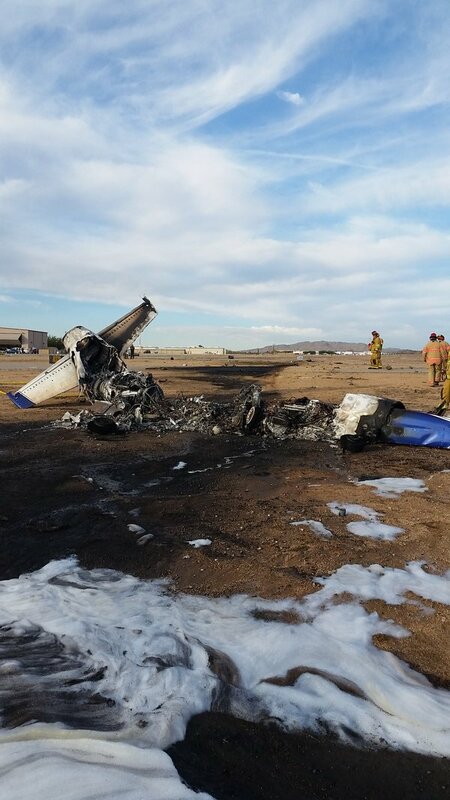 The crash occurred on Sunday, December 6, 2015 at about 2:20 P.M., according to the Apple Valley Fire Protection District the aircraft is described as an L39 jet. Witnesses say, that the small plane was attempting to take off from the airport located at 21600 Corwin Road. Mangold was born in Cincinnati, Ohio, on October 10th 1955 and is the oldest of three children. He moved to California at 3 years old and then to Pennsylvania for his high school years. Mangold previously performed shows at the Apple Valley Airshow in his L39 jet that crashed today. He was also a Boeing 757 and 767 commercial pilot for American Airlines. He is survived by his wife Julie, and his two children Nick and Melissa. No information on the identity of the second passenger killed in the crash has been released. 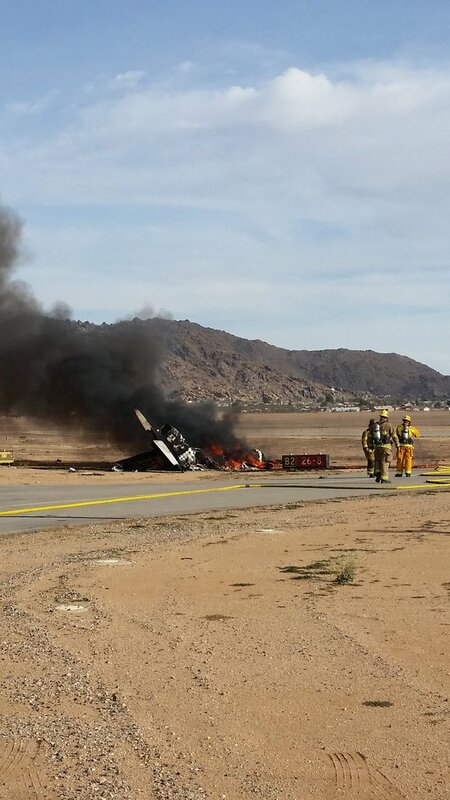 The FAA is en route to the crash scene and the Apple Valley airport will remain closed for at least 24 hours.